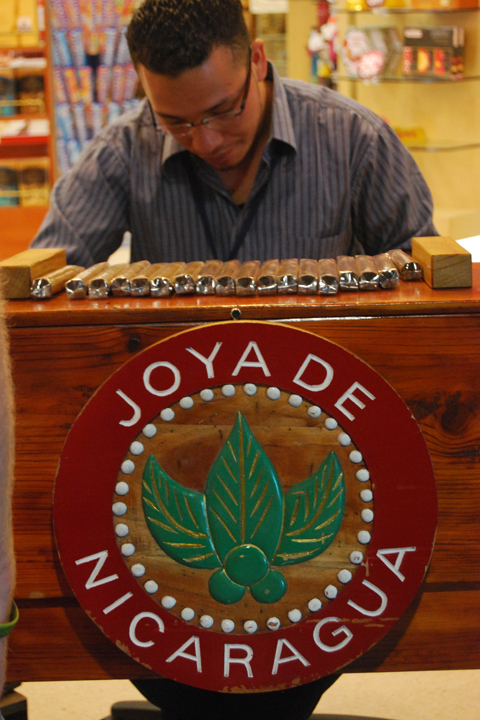 If you ask a Nica where you can visit a “cigarillo factory” they’ll wonder why the heck you’re interested because unlike other Central American countries, that implies cigarettes. 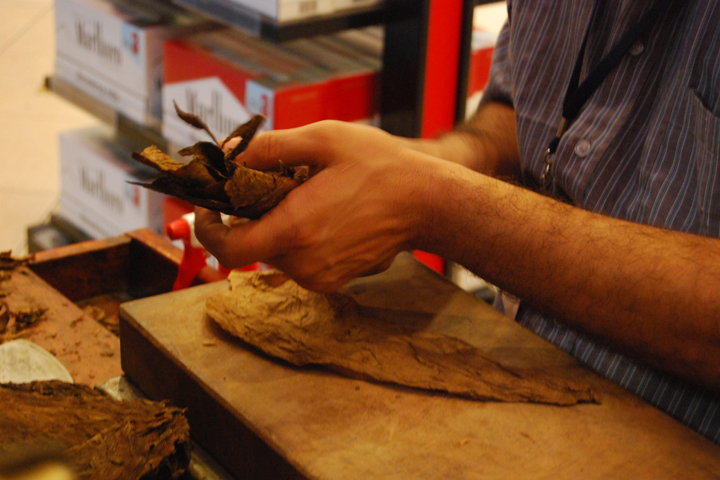 They call their cigars “puros“, meaning “pure”. My carefully crafted itinerary was missing a trip to the forests of Esteli and a visit to the famous cigar rolling factories of that area. 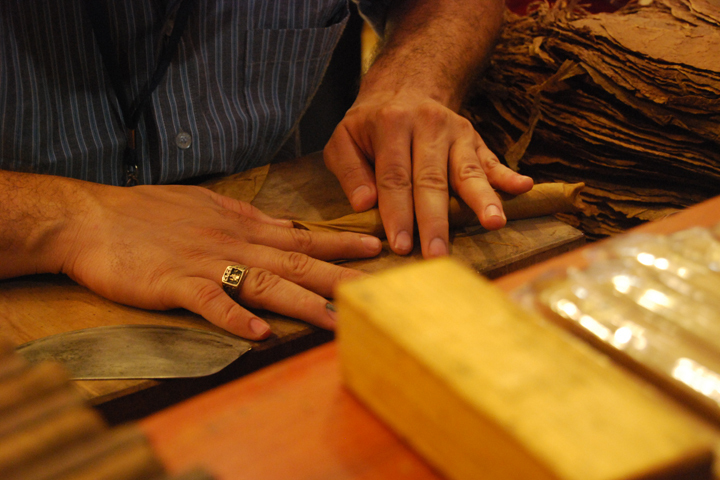 Cigars are one of the biggest exports for the Nicaraguan economy. 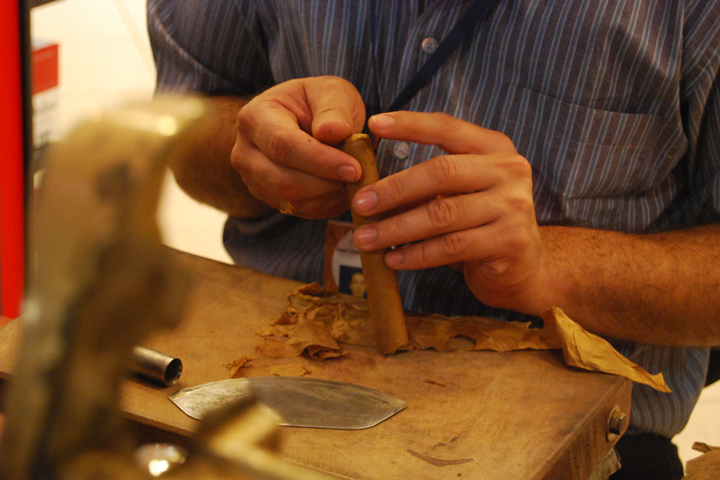 Being a non-consumer of tobacco, I am only fascinated by the art of rolling cigars for the precision and craft that goes into it. Luckily, on my way out of the country, I was able to spot a man rolling cigars at a duty free store in the airport. With an hour and a bit to kill before boarding the plane, I learned about the technique of rolling cigars and took some photos. 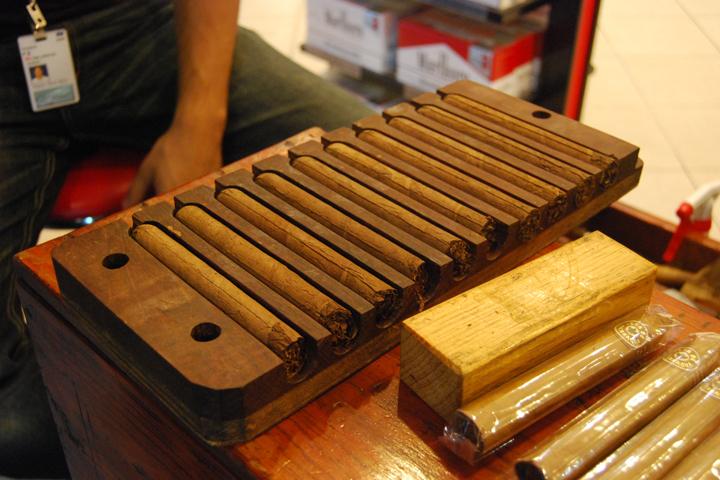 This is no match to the factories of Esteli, but it was an interesting glimpse at the large economy of cigar rolling in Central America.